If you’re in your 40s (or even 30s) and you’re experiencing sleep problems – maybe you have a hard time falling asleep – it could be because you’re undergoing perimenopause (also known as the menopause transition). 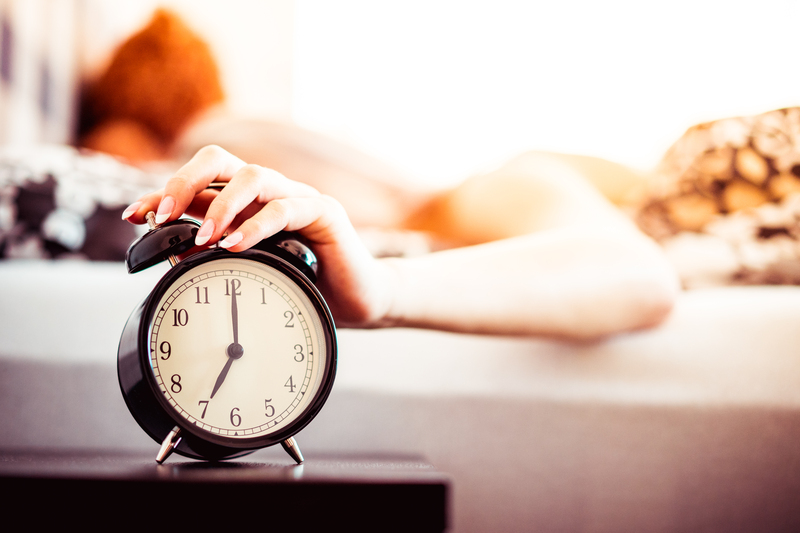 So read on to learn why perimenopause often goes hand-in-hand with sleep problems – and how EverlyWell’s Perimenopause Test can help you discover if your sleep issues might be related to perimenopause. Perimenopause comes with rapid changes in various hormone levels. Hormones are “chemical messengers” your body uses to regulate important things like metabolism, menstrual cycles, sleep, and more. As such, a perimenopausal shift in certain hormone levels can dramatically affect different aspects of your body’s biology. Consider melatonin, for example. Melatonin is a hormone your body releases into the bloodstream to promote a regular sleep-wake cycle. As you age, however, your body releases less and less melatonin. A study by EverlyWell’s clinical research team – presented at the NIH’s “Sleep and the Health of Women” conference last year – found that melatonin levels are lower among women aged 50 and over compared to women under age 50 (a trend that has been shown in many other studies). Melatonin is a hormone that promotes a regular sleep-wake cycle by controlling your body's "internal clock," or circadian rhythm. Many women begin entering menopause around this age – in the United States, the average age for entering menopause is 51 – which strongly suggests that melatonin levels play a role in the sleep issues often experienced by women transitioning into menopause. What’s more, there’s evidence that sleep quality can be particularly poor if hormone levels change very quickly . So if – for example – repeated testing with a Perimenopause Test reveals that your estradiol levels are falling very sharply, you might be at an especially high risk of experiencing sleep problems. Are Your Sleep Issues Related to Perimenopause? Are your sleep issues a sign that you’re transitioning towards menopause? EverlyWell’s easy-to-use, at-home Perimenopause Test is one way you can find out. This test measures 3 hormones that can indicate if you might be going through perimenopause: estradiol, FSH, and luteinizing hormone (or LH). EverlyWell’s easy-to-use, at-home Perimenopause Test can help you find out if you're transitioning towards menopause. Hormone levels most consistent with perimenopause include slight elevations in FSH and LH with dips in estradiol. Knowing your levels of these hormones can help you better understand why you might be experiencing sleep problems – as well as other symptoms related to perimenopause, such as night sweats, fatigue, and irregular periods. Then, by sharing your test results with your doctor, you can take well-informed steps to enhance your well-being.